National Airlines is pleased to announce non-stop service between Windsor, Ontario, (airport code YQG), and Orlando, Florida, (airport code SFB). The inaugural flight, on Thursday, December 17, 2015, will depart Windsor International Airport at 2:30 PM EST and arrive Orlando Sanford International Airport at 5:00 PM EST. “National’s non-stop service to Orlando Sanford International Airport will offer competitively priced flights to Central Florida’s theme parks, beaches and cruises,” said Edward Davidson, President and Chief Operating Officer at National Airlines. National Airlines is pleased to announce non-stop service between Windsor, Ontario, (airport code YQG), and Orlando, Florida, (airport code SFB). The inaugural flight, on Thursday, December 17, 2015, will depart Windsor International Airport at 2:30 PM EST and arrive Orlando Sanford International Airport at 5:00 PM EST. National Airlines will fly this route year ‘round. 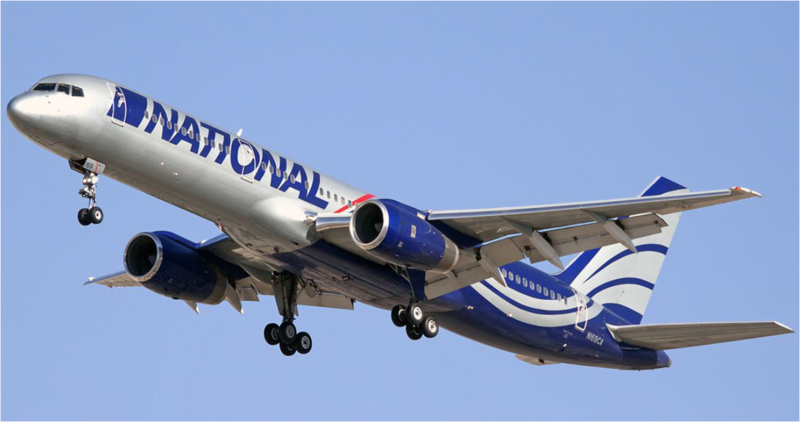 National will offer return flights from Orlando Sanford International Airport also on Thursdays and Sundays, departing at 10:30 AM EST and arriving in Windsor at 1:00 PM EST. Reservations can be made at nationalairlines.com or by calling 855-757-6999. After investigating numerous options, National Airlines chose Orlando Sanford International Airport because of its exceptional service, proximity to local attractions, and the relatively smaller crowds and shorter lines that will minimize time in the airport, leaving our guests more time to enjoy all that Florida has to offer. Orlando Sanford International’s service aligns well with National Airlines’ Customer- Focused Service, with the preeminent goal of providing a safe and pleasant travel experience for all of our passengers. Special, introductory rate fares will be available from October 1, 2015 through October 15, 2015, 11:59 PM EDT. These rates are good for travel between December 17, 2015 and May 31, 2016. There are no blackout dates, seats will be capacity controlled and are available on all flights. Additionally, National will be offering a free checked bag, free drink and meal and free reserved seating as part of standard pricing. Introductory fares listed below are for nonstop flights departing the Canadian airport and arriving at Orlando Sanford International Airport. Fares include all taxes and listed fees are one-way. Based on customer recommendations that National should extend its customer-focused product to the traveling public in the form of scheduled service, National is proud to have selected Windsor, Vancouver, St. John’s, Las Vegas and San Juan to be included in our initial schedule offerings. 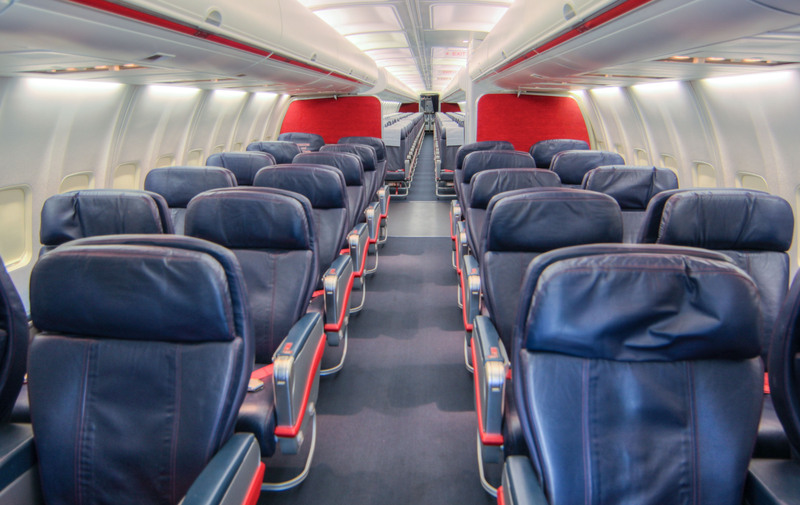 National Airlines service is unlike today's normal “cattle-car approach” and instead focuses on delivering exceptional value and price in a comfortable and professional manner. “We think travelers will agree. Just give us the opportunity to introduce you to our ‘Inclusive Fares, Exclusive Service,’ approach to air travel,” said Dennis Daley, National’s Manager of Network Planning and Strategy. National Airlines will also offer non-stop flights from Vancouver, British Columbia, (airport code YVR) and St. John’s, Newfoundland, (airport code YYT), to Orlando Sanford International Airport. Flights from these areas will take off mid-January 2016. Additionally, National will offer non-stops to Las Vegas, (airport code LAS), on December 27, 2015 and San Juan, Puerto Rico, (airport code SJU), on December 16, 2015. National Airlines is also excited to announce an exclusive partnership with Tourico Holidays to package flights with hotels, rental cars, cruises, activities, vacation homes and more. Tourico Holidays is a global leader in wholesale travel brokerage. Tourico Holidays works on a high-volume, wholesale model to broker its massive inventory to clients like National Airlines. National will now be able to bundle its flights with more than 100,000 hotels worldwide, over 25,000 vacation homes, approximately 10,000 activities and transfers, 15 cruise lines and more than 10,000 different cruise departures throughout the world, and 25,000 car rental pick-up locations worldwide. Tourico’s commitment to pre-purchasing large hotel room blocks will also give National Airlines the ability to offer its customers hotels during their travels at unbeatable price points. National Airlines is a U.S. Certified Air Carrier that has specialized in custom transportation needs for companies and governments for over 20 years. With international offices in Amsterdam, Frankfurt, Dubai, Kuala Lumpur and Hong Kong, and U.S. offices in Buffalo and Orlando, National Airlines possess World Wide Operating Authority for both passenger and cargo aircraft. National Airlines routinely flies from the U.S and Europe to the Middle East, Africa, Asia and Australia, as well as North and South America on a charter basis. Tourico Holidays is a leading global travel distribution company that contracts directly with travel providers, such as hotels, flights, cruise lines, attractions, car rentals, vacation homes and more. Tourico Holidays works on a high-volume, wholesale model to broker this inventory to over 4,900 clients in 100 countries using proprietary technology. For more information, contact Pete Bahrenburg, Public Relations, at (802) 497-1932 or at pete(at)tailwindpr(dot)com.